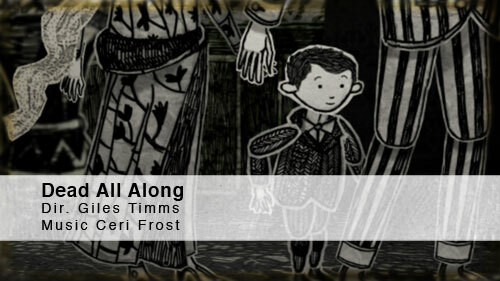 ‘Dead All Along’ is also screening tonight at the UCLA Animation Prom as part of the 2010 UCLA Festival of New Creative Work. The special guest will be Randy Cartwright (The Princess and the Frog, The Lion King, Beauty and the Beast). Animation Prom is the festival screening the work from the UCLA Animation Workshop within the UCLA School of Theater, Film and Television. ‘Dead All Along’ is the title track from Ceri Frost’s debut album CUI. The screening is at the James Bridges Theater on the UCLA campus, at 7:30pm, Saturday June 5th.